Kilchberg, 8 March 2016 – Lindt & Sprüngli’s continues its solid growth pattern with the latest annual results 2015. The Lindt & Sprüngli Group achieved consolidated sales of CHF 3.65 billion, which equates to an increase of 13.5 % in local currencies and 7.9 % in Swiss francs. Overall, the Group achieved organic sales growth of 7.1 % The Group’s operating profit (EBIT) rose by 9.4 % to CHF 518.8 million. Therefore the strategic growth and sales targets were met. Lindt & Sprüngli managed to achieve this impressive result despite the persistently challenging market environment. This positive trend was supported by all the major markets, as well as the constantly growing contribution from the Global Retail Division. The Group was able to expand its share in all the strategically important markets and thereby strengthen its no. 1 position in the attractive premium chocolate segment. The Lindt & Sprüngli Group continues to grow at a faster pace than the overall chocolate market. The integration of Russell Stover into the Lindt & Sprüngli Group is progressing according to plan. During the past financial year 2015 the economic environment was once again extremely challenging. First and foremost, the Swiss National Bank’s decision to abandon the exchange-rate floor between the Euro and the Swiss franc had noticeable consequences for the Swiss economy. On top of that, a series of negative factors weighed on global consumer sentiment: record-high raw material prices (especially for cocoa beans), the recession in oil-exporting countries, the unsettling effects of terrorist threats and concerns about deflation and unemployment in the mature economies. A very hot summer followed by an extremely mild start to winter both had a negative impact on chocolate consumption. This led to sluggish demand in the overall chocolate market. Despite all this, the Lindt & Sprüngli Group performed well in all markets, and managed to increase its market shares. Organic growth in the Europe segment amounted to 5.4 %. Lindt & Sprüngli U.K. reported strong double-digit growth, while the sales figures achieved by Germany and France, the Group’s biggest European subsidiaries, were also much higher than the market average. Performance in the home market of Switzerland was strong as well, despite a decline in the Swiss chocolate market as a whole. In North America, Lindt & Sprüngli concentrated its efforts on integrating Russell Stover. The integration is progressing according to plan. Despite the necessary process adjustments and restructuring, Lindt & Sprüngli was able to maintain momentum and increase its sales compared with the previous year, as well as expand its presence in North America. This enabled the Group to achieve organic sales growth of 7.9 % in the NAFTA region. With this result, the Group strengthened its no. 3 position in the world’s biggest chocolate market and its no. 1 position in the premium segment. The clear focus and systematic approach in realizing strategically important acquisitions are paying off. The Rest of the World segment reported organic growth of 11.4 %. Subsidiaries in Australia, Japan and Russia made particularly good progress, recording double-digit sales growth. In Latin America, Lindt & Sprüngli is concentrating on the strategically important market of Brazil, which is also delivering double-digit growth. Our joint venture with the CRM Group supports this dynamic development. The Group’s operating profit (EBIT) rose by 9.4 % to CHF 518.8 million (2014: CHF 474.3 million). The operating margin rose to 14.2 %. Net income increased by 11.2% to CHF 381.0 million (2014: CHF 342.6 million). The return on sales amounted to 10.4 %, with an operating cash flow of CHF 488.9 million (2014: CHF 308.2 million). The balance sheet is still very solid. Lindt Global Retail is making an increasingly important contribution as it continues to make inroads in all regional markets, opening up new sales channels in the process. The Global Retail concept was first developed and implemented back in 2009. It has been very well received by consumers and has a big impact in strengthening the public image and recognition of the LINDT brand. The Group now has over 300 shops communicating LINDT’s core brand values such as high quality, tradition, product diversity and a commitment to sustainability, sending out a clear and consistent global message to consumers. One key success factor is the prime locations. Furthermore, a number of products are exclusive to Lindt & Sprüngli's own shops, so they attract loyal consumers who cannot buy them elsewhere. In 2015 another 50 stores were added to the global network. 16 LINDT boutiques were opened in Brazil alone. Lindt Global Retail reported organic sales growth of approximately 20 % in 2015. Today LINDT’s global retail network gives the company access to over 80 million consumers. The Group confirms its guidance for the current financial year: a mid-to long-term organic growth target of 6-8 % and an increase in EBIT of 20-40 basis points. Lindt & Sprüngli will continue with the successful integration of Russell Stover into the Group. In addition to the investments into the LINDT brand and high quality, Lindt & Sprüngli will also be investing in the expansion of its retail network, new technologies, expansion of production sites and in sustainability programs in the countries where we source our raw materials. Lindt & Sprüngli’s goal is to be the world’s leading retailer of premium chocolate by 2020. As part of this drive, Lindt & Sprüngli plans to open 20 - 30 new LINDT shops every year. At the 118th ordinary general meeting of shareholders on April 21, 2016, the Board of Directors will propose Dr Thomas M. Rinderknecht for election to the Board as a successor to the long-serving Board member Dr Franz Peter Oesch, who died unexpectedly in August 2015. Dr Thomas M. Rinderknecht (CH) has completed his studies with a doctorate in law and was appointed to practise as an attorney-at-law in the canton of Zurich in 1982. He has been an independent business lawyer since 1982 and joined Badertscher Rechtsanwälte AG in Zurich and Zug as a senior partner in 2009. Since 1984 Mr. Rinderknecht has served on the Boards of Directors of several medtech, pharma and biotech companies as well as in the field of media and industry. Since 2011 he has served as a member of the Board of Directors and Audit Committee of the Basilea Pharmaceutica AG. 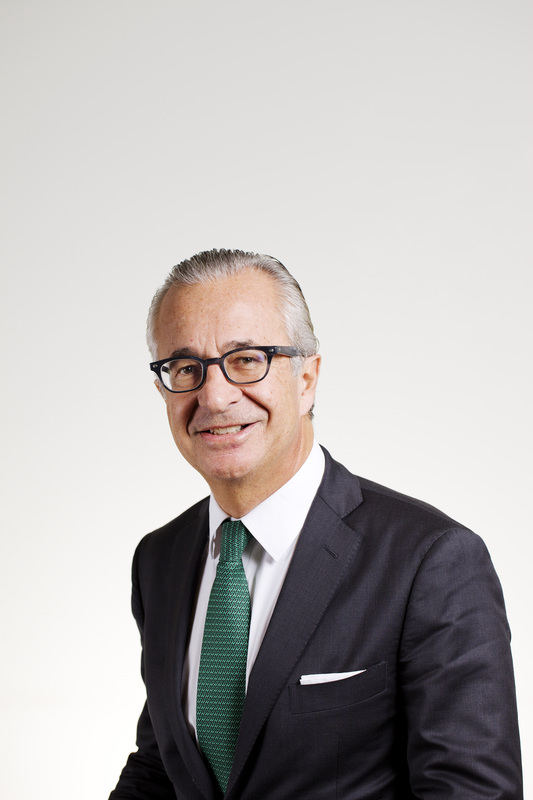 Mr. Rinderknecht as a business lawyer will in particular enhance the legal competencies of the Board of Directors. In view of the strong result achieved in the past financial year, the Board of Directors will be proposing a dividend of CHF 800.- per registered share and CHF 80.- per participation certificate. This is equivalent to a dividend increase of 10.3 %.